Our aim is to develop a tool that will allow individuals with personal, familial, cultural, or historical connections to the Residential Red Zone area to tell their story and to reflect on what this space means to them. © OpenStreetMap contributors, CC-BY-SA. 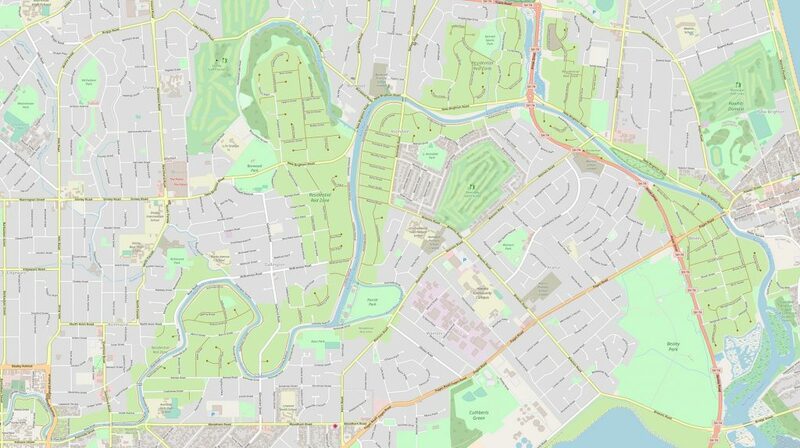 An OpenStreetMap view of the Residential Red Zone Area. 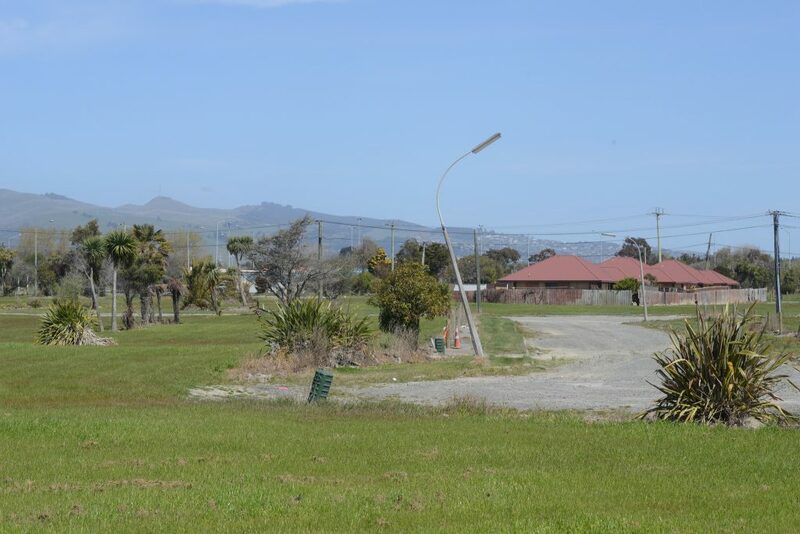 Seven years on from the 2011 Canterbury earthquakes the future of Christchurch’s Flat Land Residential Red Zone (RRZ), an area of quake-damaged land starting within the four avenues of the CBD and extending northeast to the Avon-Heathcote Estuary, still remains uncertain. This sizeable area of land that once housed over 5000 residents now consists mostly of open green space, largely devoid of any built structures or residential housing. In recent years, there has been much discussion around plans for the future use of the RRZ. Organisations such as Avon-Ōtākaro Network and Regenerate Christchurch have been key players in these discussions and have presented a number of crowd-sourced visions for what the future for the RRZ could look like. 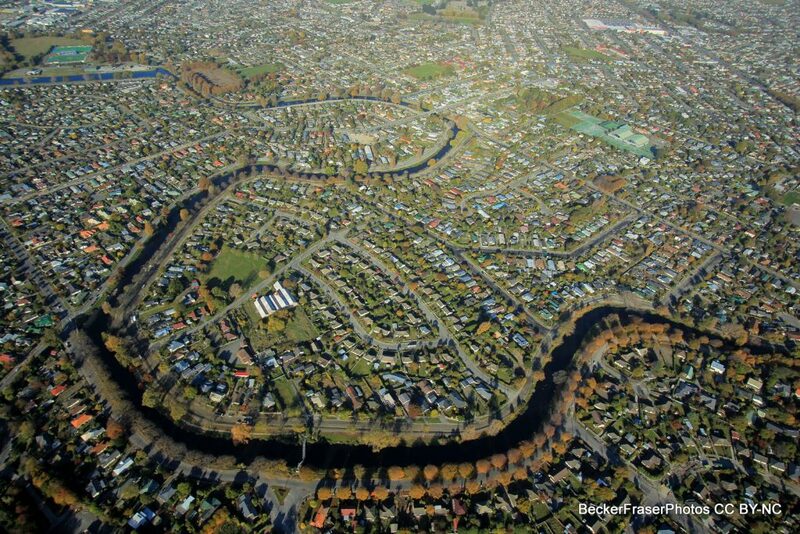 While discussions around the regeneration of the red zone land excite landscape architects, urban planners, and developers throughout the region and abroad, many of the people that once lived in this area of Christchurch (including the few that still do) are yet to tell their stories. An aerial photograph taken by BeckerFraserPhotos in 2012 showing mostly red zone land in the Avonside Loop area. Virtually all the houses within the Avonside Loop have now been demolished. The UC Arts Digital Lab has recently embarked on a digital project in conjunction with researchers from across the fields of English, Digital Humanities, Geography, and Media and Communication studies that will gather and present these stories. This three-year project entitled Understanding Place is funded by the National Science Challenge: Building Better Homes, Towns and Cities contestable fund, and is comprised of two main elements: a web-based interactive map and a digital archive. We are currently in the process of developing the web-based digital map that will allow users to upload, comment on, and curate geo-located photographs, videos, audio, and text. The digital map will also be able to ‘talk’ directly to the QuakeStudies earthquake digital archive (https://quakestudies.canterbury.ac.nz/), and will automatically archive contributions from the public for long-term storage and posterity. Our aim is to develop a tool that will allow individuals with personal, familial, cultural, or historical connections to the Residential Red Zone area to tell their story and to reflect on what this space means to them. 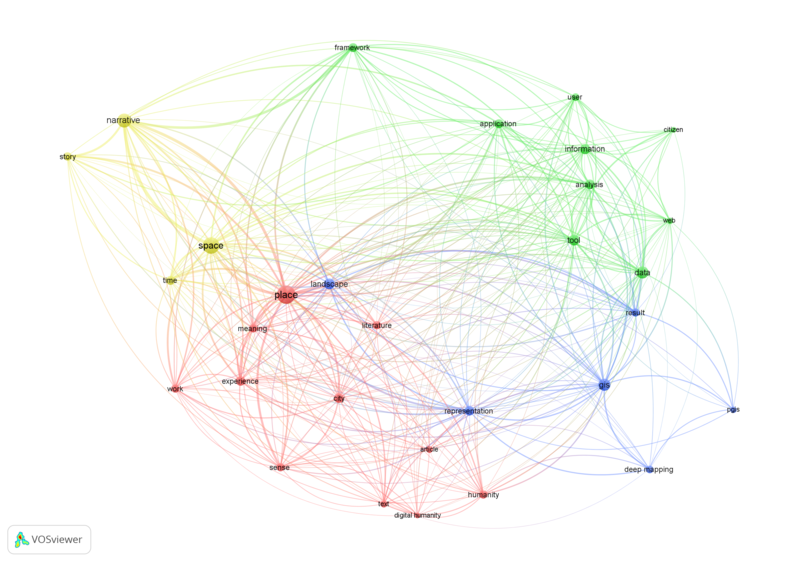 A VOSviewer visualisation of bibliographic data produced during the early research phase of the project. Understanding Place occupies the space in between urban planning public consultation and volunteered geographical survey. It is a multi-disciplinary project that is interested primarily in cultural understandings and experiences tied to place in post-disaster urban settings. We want to enable people to convey their rich connections with spaces and places through photography, video, audio, and text, and thereby encourage them to represent the various experiences and memories embedded within the Residential Red Zone. We hope that through the provision of the interactive digital map people will find a space in which to reflect on and consider what the area means to them. With Understanding Place we lead with open questions such as the provocation put forward by Presner, Shepard, and Kawano (2014) in their book HyperCities: Thick Mapping in the Digital Humanities: “Where are you from? What used to be here?” We are not seeking to develop a tool that will be used for urban planning or development (though it may contribute important cultural knowledge to these practices), rather, we are developing something that will use digital media to produce meaningful connections between people, memories, and place. The tool we will develop will enable personal storytelling and cultural mapping; it will be a practice in what Giannachi (2016) terms “Archives 3.0”, wherein personal and collective memories talk to one another through interconnected platforms and media. Ultimately, Understanding Place is about creating space for people to tell their stories and to provide another perspective or layer to discussions around the Residential Red Zone and its future. Giannachi, Gabriella. Archive Everything: Mapping the Everyday. MIT Press, 2016. Presner, Todd, et al. HyperCities: Thick Mapping in the Digital Humanities. Harvard University Press, 2014.